Read two journal articles relating to Team Building through Servant Leadership philosophy. 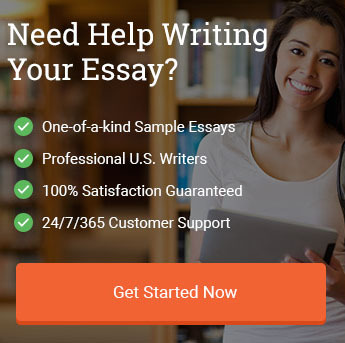 Submit a written analysis (one to two pages) for each article, and attach a copy of the article. Neill, Hayward, and Peterson (2007) investigated the perceptions students have concerning interprofessional teams in practice using the principles of servant leadership. The sample that was studied was students from different professions within the health sector, subjected to a similar framework. The students provided care using mobile wellness services. These teams had a central source of communication coordinated by a faculty member of the health profession. An Interdisciplinary Education Perception Scale was used to measure the perceptions of interdisciplinary practice. Further, a pretest-posttest research design was employed in checking whether the desired outcomes were achieved. After a multivariate analysis was performed, a significant variation was observed between the pretest and post-test results. Through the student’s score on the interdisciplinary education perception scale, it was established that teamwork in practice highly changed their perceptions compared to the perceptions they had before the test. However, when a univariate analysis was conducted, the students indicated notable changes in his or her perceptions of professional autonomy, practice, resource sharing, cooperation and valuing others. From pretest to post-test, the students depicted a high embracement of teamwork and valuing of other people’s contributions. Therefore, it was imperative to shift the professionals from the formal organization’s work framework and place them into a community-based interprofessional care to achieve the team goals. When interprofessional sharing of ideas and other resources is achieved, care delivery will be achieved holistically. Since members of the teams have different levels of expertise in offering care, when these skills are employed together, a client-centered care is achieved. Eventually, Neill, Hayward, and Peterson (2007) established that when professionals from multiple departments or disciplines integrate their knowledge through teamwork, the desired communal and societal needs are met. Song, C., Park, K., & Kang, S. (2015). “Servant Leadership and Team Performance: The Mediating Role of Knowledge-Sharing Climate.” Social Behavior and Personality: An International Journal, 43(10), 1749-1760. Song, Park, and Kang (2015) delved into understanding the effectiveness of the role of mediation inherent in a knowledge-sharing climate within the team performance and servant leadership framework. The research was aimed at investigating servant leadership under the context of knowledge-sharing climate. 67 teams were analyzed in the cosmetic industry of South Korea, specifically the direct sales teams. The authors used regression analysis as well as bootstrapping while testing the hypothesis of the study. Since servant leadership can only be analyzed as a team feature, it was established that teams that cultured servant leadership had a more pronounced knowledge-sharing climate within the team. Servant leadership requires one to possess several qualities inherently. Among the fundamental qualities that an individual within a team should possess to exhibit servant leadership includes authenticity, humility, the capacity to empower team members, stewardship and possess interpersonal acceptance. After reviewing the literature, Song, Park, and Kang (2015) were convinced that a knowledge gap existed, therefore crucial to conduct the study. 2965 participants were sales representatives within the 77 sales teams used as a sample. The reliable data that was collected was from 1884 survey forms, from 67 teams. The rest were discarded for several reasons. The results indicated a significant relationship existed between the team performance and knowledge-sharing climate after controlling for servant leadership. The hypothesis that claimed that a knowledge-sharing climate offered a mediating effect on the relationship existing between team performance and servant leadership was therefore supported. Of importance is that this knowledge-sharing climate can only be achieved within a teamwork context. Therefore, companies should employ team leaders who use the servant leadership style to nurture a knowledge-sharing climate and teamwork among employees. "Team Building through Servant Leadership Philosophy Essay." Aceyourpaper.com. Student Network Resources Inc, 18 October. 2017. Web. 18 April 2019. Student Network Resources Inc. "Team Building through Servant Leadership Philosophy Essay." Aceyourpaper.com. https://www.aceyourpaper.com/essay/team-building-servant-leadership-philosophy-essay/ (accessed April 18, 2019).